December 24, 2018 - 28 Comments. The coin is already generating a backlash, with opponents of the Trudeau government questioning whether the prime minister hasn’t done enough already to promote identity politics in Canada. According to CBC News, Trudeau gave his blessing to the coin on Dec. 14. The dollar coin, dubbed a “loonie” in Canada because a loon appears on one side of the coin, will be issued by the Royal Canadian Mint and be circulated throughout Canada as regular tender. The Mint isn’t releasing any images of the new coin, nor revealing the names of the artist who rendered it, claiming it wants to “maximize the impact” when people first see it sometime next year, according to CBC. But the director of political operations for Canada’s largest pro-life group said the move is nothing more than propaganda. Trudeau has been busy on behalf of the LGBTQ community. He has offered a formal apology and offered financial compensation for anyone who lost their positions in the military or civil service due to their sexual orientation. Part of the apology included legislation to expunge the legal records of anyone convicted of a past homosexual offense — but to date only seven people in Canada have applied. 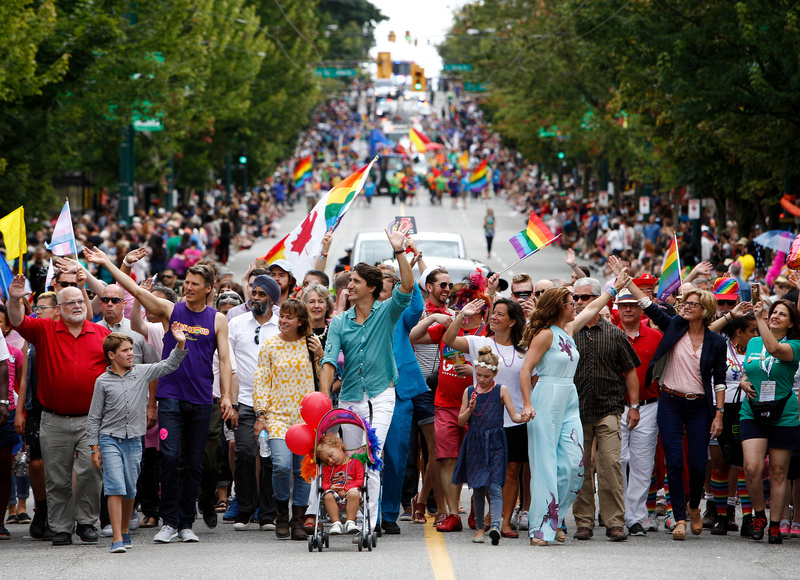 The prime minister rarely misses a Gay Pride parade, and once showed up to Toronto’s event when the local police were banished from the festivities.